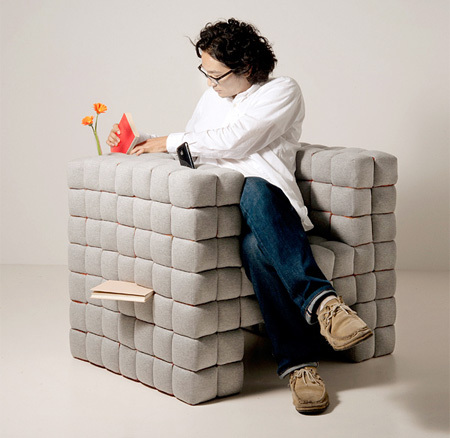 Lost in Sofa chair designed by Daisuke Motogi allows you to store and hide small objects between the cushions. Great, except that it’s the last thing I’d ever want to decorate my apartment with. 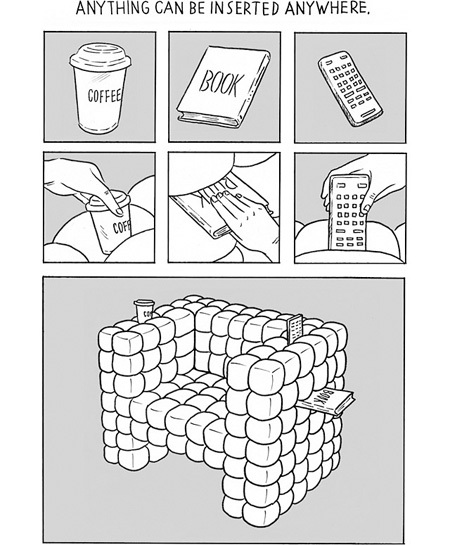 Now invent something that can clean it. true it might be hard to clean with… perhaps removable cover to machine wash? It much better that these chair can dissemble into large mat for easy cleaning. How much money lost down the back of the sofa?? You can tell they don’t have kids!!! God, the stuff lost in there! It’s like a creepier version of the Pee Wee Herman chair. It’s cool, but it’s more of a joke then a practical product. 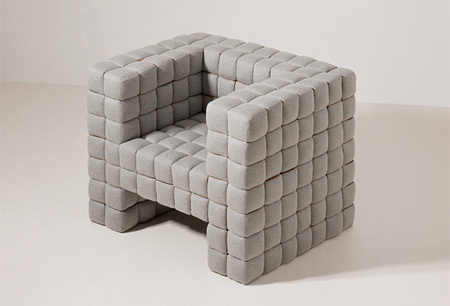 It’d be hard to wash and clean, and it looks like it’d be easy to lose things deep within. Though this is the exact opposite of something people hate: losing the remote. Men, if you think losing the remote is bad, never sit down naked on that chair. You won’t be able to get back up.